Looking for things to do in Corvallis while you're here? Try this 2-day, 2-night itinerary that will guide you through 9 of our area Heart of Willamette Wineries and several fantastic stops! Today you'll explore our wonderful downtown and grab a bite to eat before taking off to the first of three wineries. For a fun twist, consider the Segway Tour of Corvallis before choosing your place to dine (this will also help you find great dinner options). 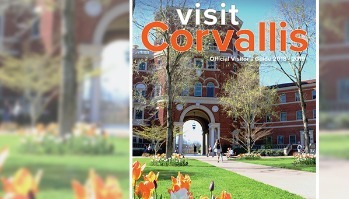 This tour is a great way to see the best of Corvallis, with a tour guide that is knowledgeable and entertaining. Your guide will point out some great places to eat, many that feature local wineries. After lunch, begin your wine tasting experience by driving north to Airlie Winery (map) first, and then Emerson Vineyard (map) and finally Treos Wines (map). Airlie and Emerson are open from noon to 5:00 p.m. year round. If you want to taste at Treos, call ahead for an appointment: (503) 610-3530. These wonderful wineries are just north of Corvallis and are all very close to each other for an easy route. Return to Corvallis for dinner. Try one of our newer restaurants, Bo & Vine (map) or Castor (map), or try Big River Restaurant (map), newly owned by Mazama Brewing. Today you'll visit 3 to 5 wineries in the Corvallis area, but not before you enjoy a wonderful breakfast. Try a local favorite, the Broken Yolk Cafe (map), in downtown Corvallis. Today's wineries are all along a very easy western route. The first tasting room on your tour will be Harris Bridge Vineyard (map), followed by Lumos Wine Company (map), then Cardwell Hill Cellars (map). This would be a good time to take a break and have lunch. Drive to Gathering Together Farm (map), a working farm with a beautiful store and restaurant that serves fresh, local and unique food - definitely a "don't miss"! They're usually pretty busy, so you might want to call ahead for a reservation: 541-929-4270. After lunch, continue your quest for the perfect pinot by visiting Spindrift Cellars (map), followed by Pheasant Court Winery (map), and finally Panache Cellars (map). You may want to call ahead, as some wineries have seasonal hours or are by appointment only. End your day at another wonderful restaurant in Corvallis. 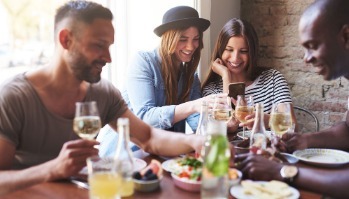 The wineries themselves may have recommendations, or you could stop in to Del Alma (map) for a bite of Latin American cuisine, Sada Sushi & Izakaya (map) for an authentic sushi experience, or Evergreen (map) for a taste of spicy Indian delicacies. With your Corvallis wine tour nearly complete, we wanted to send you out of town with one more stop: the beautiful tasting room at Tyee Wine Cellars (map), south of town. This winery is located on a historic Century Farm and is the perfect way to wrap up your mini-vacation to Corvallis. Bring a picnic to enjoy as you soak in their lovely vistas, and walk your lunch off along one of their wonderful hiking trails.